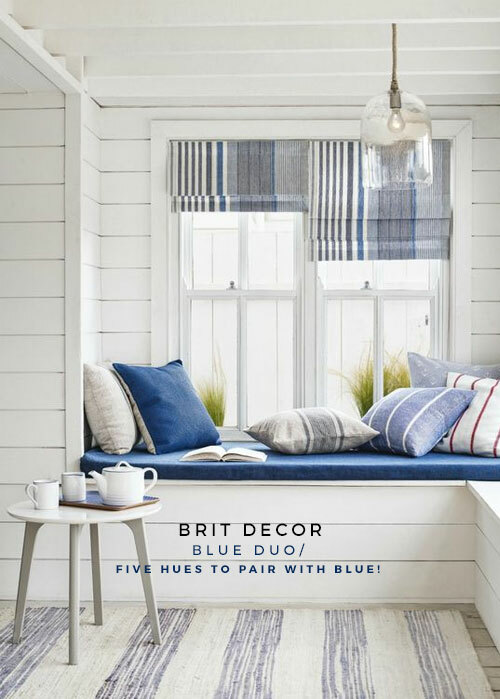 Brit Decor : Home Page: Brit Decor: Blue Duo/ Five Hues to Pair with Blue! Brit Decor: Blue Duo/ Five Hues to Pair with Blue! 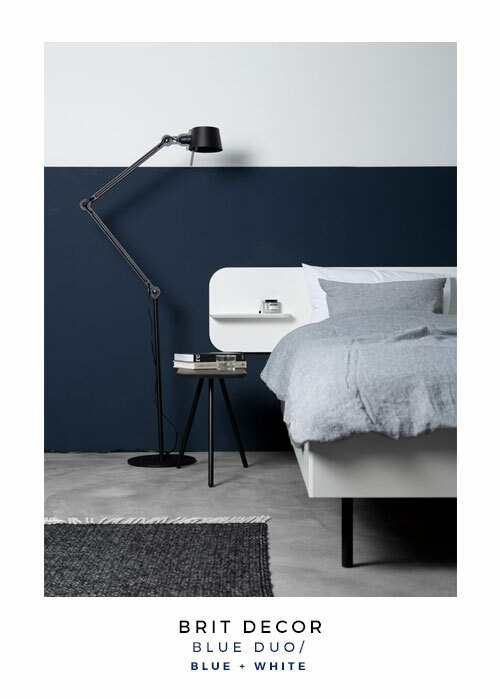 Blue, in all of it's glory, is always worth a conversation when discussing home colour choices. 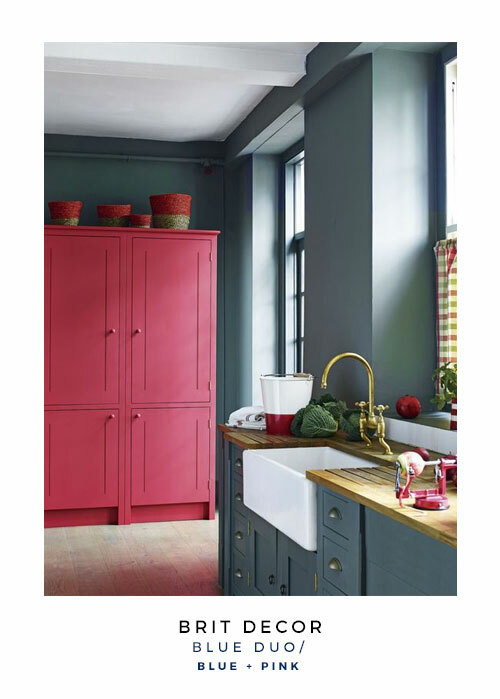 Here I wanted to share with you guys just how versatile this hue can be when paired-up with particular colours. 'Blue and green should never be seen' is an old adage I frequently used to hear as a child, is anyone else familiar with this? I imagine this old rhyme may have been derived from the way that bolder versions of these two hues can 'pop' against each other, which once upon a time may have been considered vulgar. 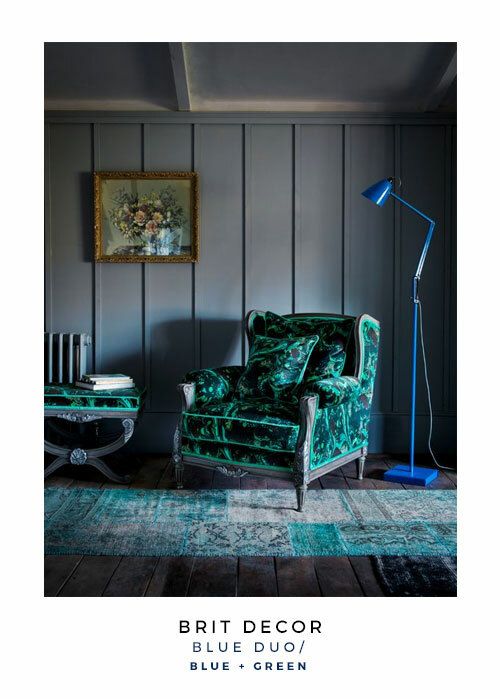 Thankfully these days it's a different story and a blue-green colour combination is one of my favourite dynamic duos, especially in high energy electric blues and greens (see immediately below). For a far calmer vibe, pairing aquatic blues and greens, which are actually very similar in tones, has the opposite effect to their dynamic relatives. Blue & grey is a colour combo for the right now. 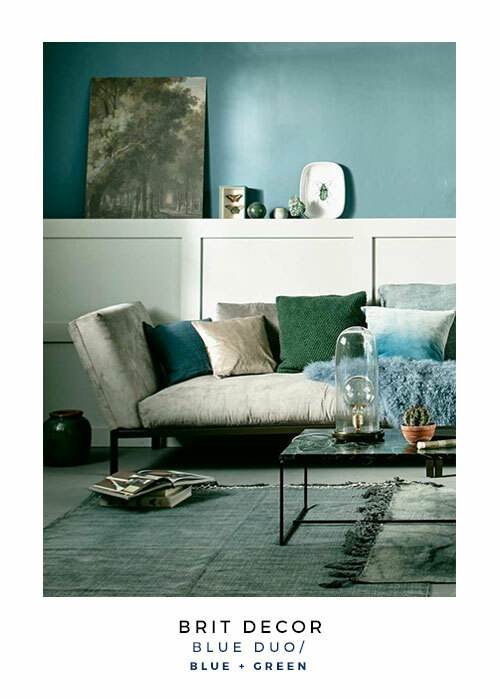 With Denim Drift making the top spot in Dulux's colour of the year for 2017, this blue-grey has it all! 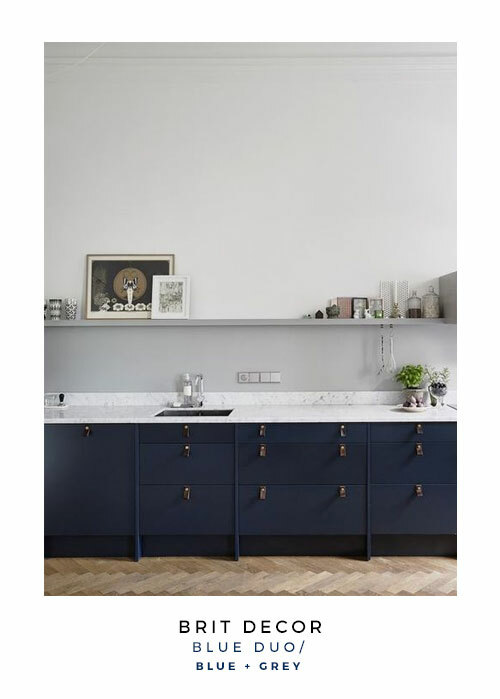 Blues will always sit oh-so comfortably with greys, but I personally prefer to step things up a little with juxtaposing paler greys and darker, moody blues. Blue and pink in the traditional sense can easily become a little pedestrian and dare I say it - predictable! However, with the correct styling treatment this combo can deliver a harmonious palette of masculine & feminine. 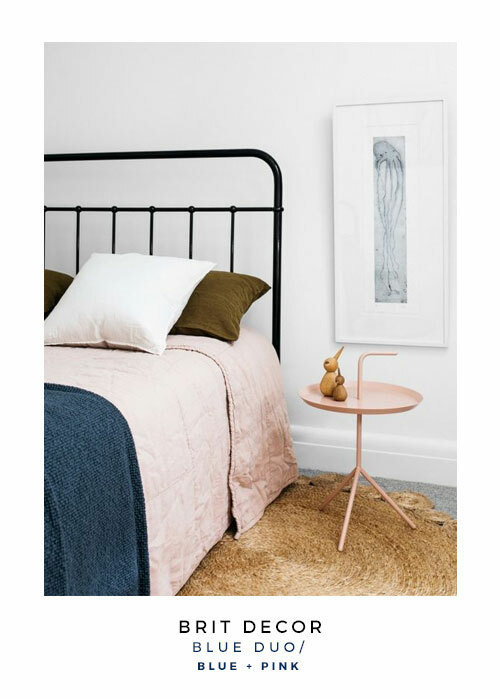 Alternatively, exploring the extremities of both these hues can deliver dramatic results with more passionate pinks jarring against steely blues, for example. 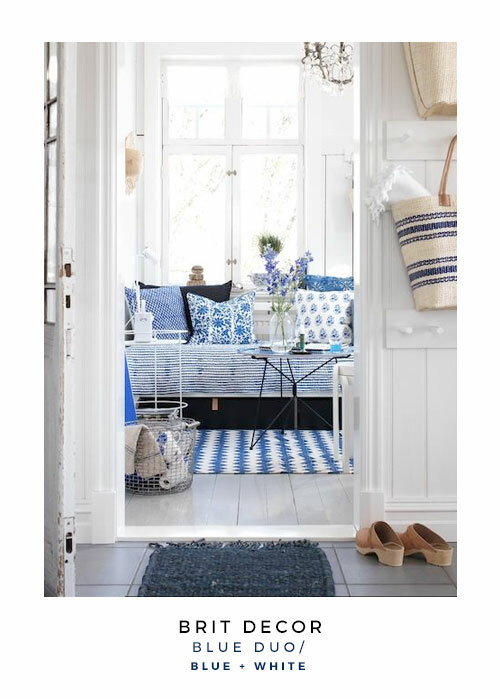 Blue & white is one of those classic colour combinations that just keeps on giving. It's often associated with nautical themed interiors and evokes a sense of Summertime, but not exclusively! Navy & white stripes and chevrons will deliver crisp contrasting pattern, whilst larger blocks of blue (see below) can execute a more dramatic theme. The warm versus cold combination of blue and yellow is another one of those mixes that can really pop! 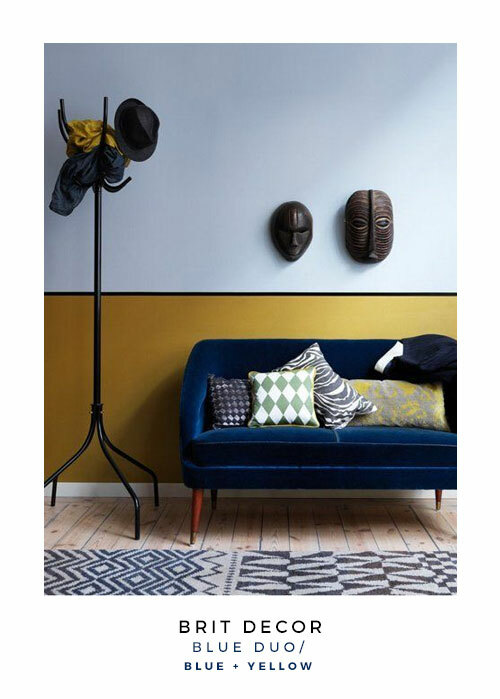 Mustard yellows work really well for that an intensely rich 'look' alongside an alluringly dark blue.